First time on the market! 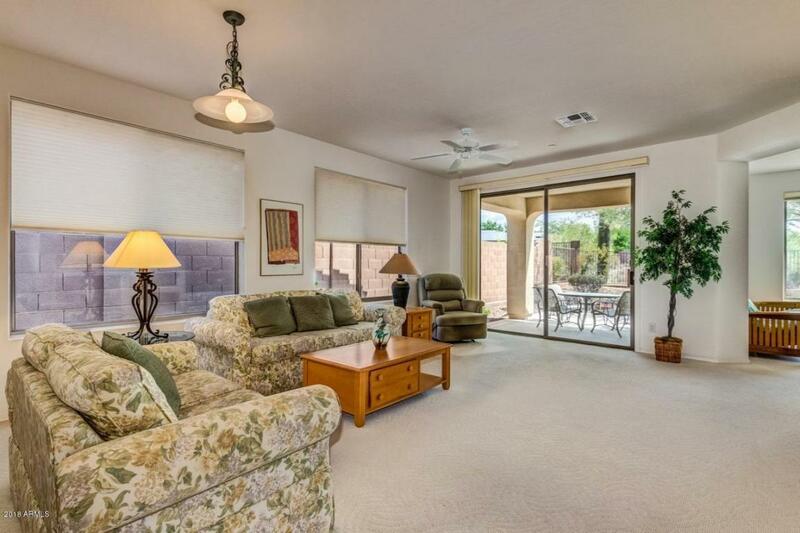 This Durango/Acadia model sits on an oversized lot with ample space between neighboring homes. From the front entrance of the home, you'll find the breakfast nook, kitchen and laundry room with direct access to the garage, making it a quick trip when bringing groceries in. 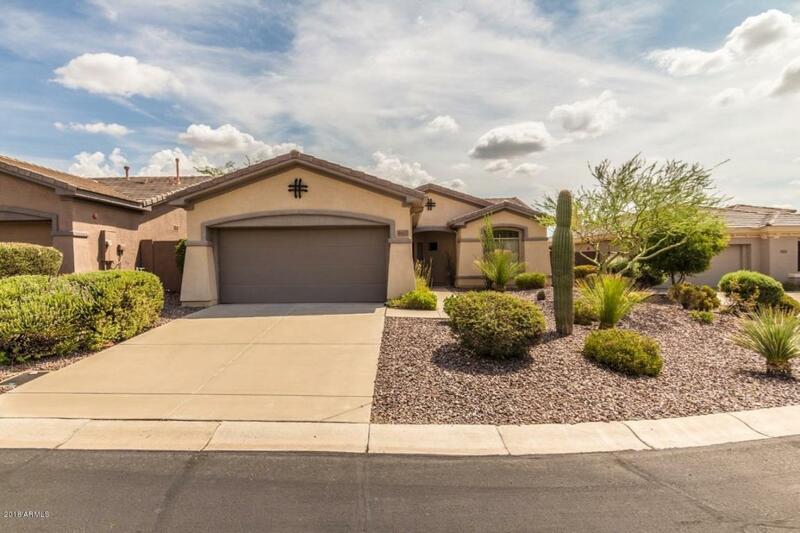 With views from the kitchen sink to the family room and out back, you'll always feel like part of the action. The family room has a built-in media center with ample space for decor, photos and special pieces you have collected over the years. 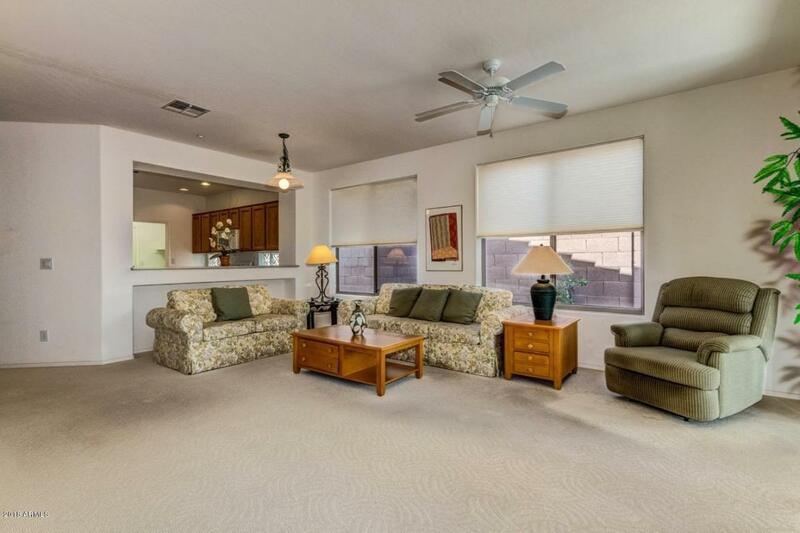 Off the family room is a light and bright office/den with views of the yard and its spacious views of the desert wash! The master suite is at the rear of the home, offering ample privacy and natural morning light. A second bedroom with its own bathroomjust out its door is located at the front of the home. This floor plan was designed with more storage than you'll find in most homes of this size, helping it live bigger than the square footage would indicate. 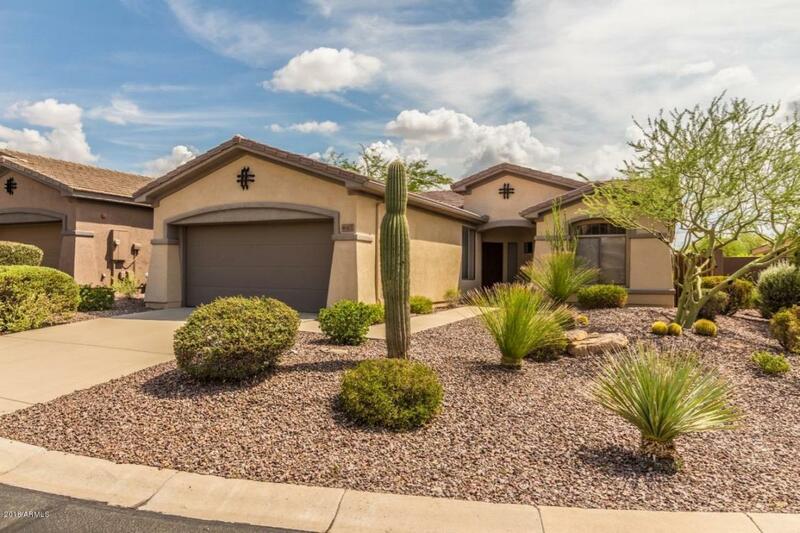 With its low-maintenance desert landscaping along with your very own Saguaro, this home can also prove to be an easy second home or investment property in the Anthem Country Club.